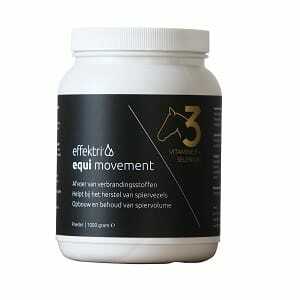 Omega – 3 dietary supplement with antioxidants and vitamin D for a healthy and active horse . 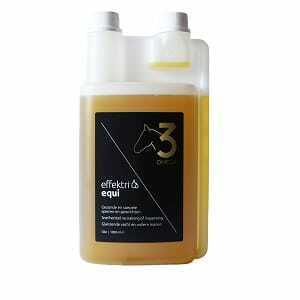 Effektri’s Omega-3 Equi is a high-quality nutritional supplement for your horse or pony. It consists of a mix of essential fatty acids, including the important Omega-3, supplemented by anti-oxidants and vitamin D.
These days, higher and higher demands are being placed on horses’ health and performance. Given the often limited ability for pasture grazing on the one hand, and an increase in concentrated feed on the other, there are many horses developing a growing deficiency of Omega-3 and excessive intake of Omega-6. What does Omega-3 Equi do for your horse? Horses get the right balance of acids from grass they ingest. A horse that has unlimited year-round access to grass will keep this balance intact on its own. Unfortunately, many horse owners in the Netherlands do not have this luxury. Feeding raw and concentrated feeds results in an excess of Omega-6 and a deficiency of Omega-3. The right fatty-acid balance in the body is essential to keeping horses healthy and active. Omega-3 contributes to flexible cell membranes and has an anti-inflammatory effect at the cell level, and thus throughout the body. The right balance of Omega-3 and Omega-6 also reduce the likelihood of injury and a faster recovery after intensive training sessions. How does Omega-3 Equi work? The right balance between Omega-3 and Omega-6 increases the flexibility of the cell membranes, which allows better blood flow to tissues and therefore also improves the health of muscles. In addition, in the conversion of Omega-3 from the cell walls, anti-inflammatory substances are created, whereas an excess of Omega-6 results in more pro-inflammatory substances. These cause infection symptoms that your horse will feel as pain or tiredness in its muscles and joints. An unbalanced proportion of Omega-3 and 6 can result in problems such as restlessness, behavioral problems, muscle problems and a reduced resistance to disease. 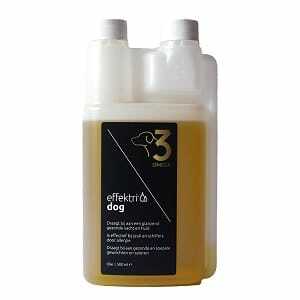 Effektri’s Omega-3 is a good way to restore the balance, thus improving your animal’s overall health! 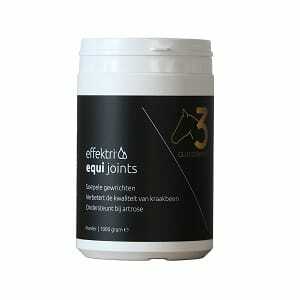 Effektri Equi Omega-3 is a healthy supplement to your horse’s diet. 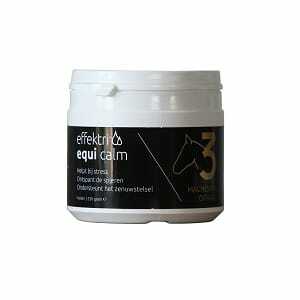 It restores your horse’s Omega-3/Omega-6 balance and keeps it at the desired level. Omega-3 oil, cold-pressed olive oil, natural anti-oxidants (tocopherols) and vitamin D.
The Omega-3 oil is produced in accordance with the strict quality standards of the European Union. Store unopened bottles in a dark place at room temperature. Keep opened bottles in a cool, dark place. May be consumed up to 45 days after opening.